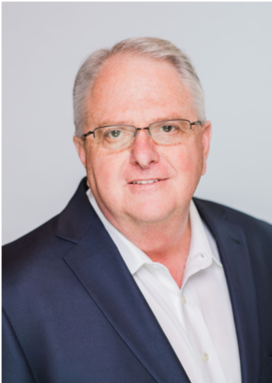 THE WOODLANDS, Texas - June 11, 2018 - PRLog -- FocalPoint Business Coaching is proud to announce Dave Watkins has joined FocalPoint's elite team of Business Coaching professionals. Dave will bring his business experience and coaching expertise to entrepreneurs and business leaders in The Woodlands & Houston, Texas area. "We are excited to have Dave as part of the FocalPoint team," says Stephen Thompson, CEO of FocalPoint, "With his diverse business background, Dave is a strong addition to our community of passionate and experienced business professionals who are committed to helping their Coaching clients achieve even higher levels of success in their business." "I am excited to be able to bring my clients the world-class coaching and training programs of FocalPoint, coupled with my own business experience. Coaching can make a critical difference to the success of individuals and businesses, and there is no greater satisfaction for me than to see my clients flourish as they define, and meet, their goals." In his 40 year business career, Dave has worked in major global companies and companies of all sizes, including small businesses and start-ups. His experience ranges from entry level and field work to President, Board of Directors and Company President. Most of his experience has been in Oil and Gas spanning producers, services and equipment companies, and consulting firms. He has also had experience in manufacturing, health care and professional services. With his experience in many different business situations, and his outside perspective, Dave adds value to Client companies in all areas of the business. FocalPoint Business Coaching is based on the time-tested techniques of worldwide bestselling author Brian Tracy. For more than 30 years, the FocalPoint system has helped thousands of business owners and executives around the world with key issues such as time, team, money and exit strategy. FocalPoint Business Coaching emphasizes long-term relationships between clients and Business Coaches, helping guide clients to more success in their businesses and more balance in their lives.